Offering you a complete choice of products which include phonak virto v70 custom hearing aid, phonak virto v90 custom hearing aid, tao q15 cic, virto q30 itc, virto q30 cic and phonak virto v50 custom hearing aid. The Phonak Virto range is the custom In the Ear model range from Phonak and available in 4 technology levels. It can be specified as Full Shell ITE (largest), Half Shell, ITC (In the Canal), MC (Mini Canal), CIC (Completely in the Canal, and IIC nano (Invisible in the Canal). All of these instruments require custom impressions, and the Audiologist will discuss which style is most appropriate for your needs at your impression taking consultation. 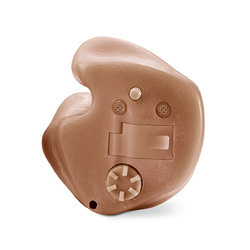 The 70 series (V70) are at the upper middle segment for hearing aid technology featuring an array of technologies to provide great clarity and listening comfort in most situations. Featuring 16 processing channels and a highly adaptive automatic programme, the 70 series is recommended for those with an active lifestyle. Features: Omni directional, NoiseBlock, WhistleBlock, Bass boot, T-coil, Data Logging. 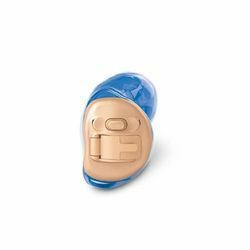 The Naida RIC is the smallest model within Phonak's specialist power hearing aid portfolio and is a Receiver In the Ear, making it very discrete even for those with severe hearing losses. It has up to 72dB of extra volume available and is rated IP68 for superior water and dust resistance. It uses a size 13 battery for 10-14 days battery life. It features a single program button on each aid, which can be programmed to change settings or volume. 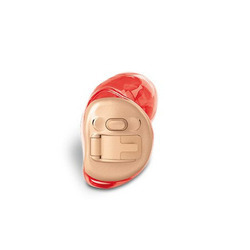 The 50 series (V50) is the bread and butter model from Phonak, and contains the necessary technology to ensure easy listening in a wide variety of environments. 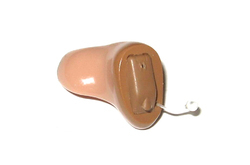 Featuring an automatic primary program, the hearing aids are well suited to a more relaxed lifestyle. Features: Fixed directional, NoiseBlock, WhistleBlock, Bassboot, T-coil, Data Logging.